#750 | American Holtzkraft, Inc. The Bistro Collection from American Holtzkraft features an easy opening original standard awning style, two handed swivel crank umbrella that can be quickly pivoted out of terrace function areas in its closed position. 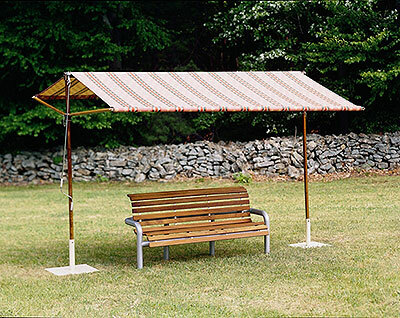 10’x12′ portable awning with 2″ steel reinforced poles.